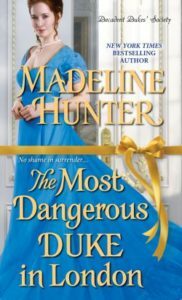 The Most Dangerous Duke in London is now available for pre-order! If you do pre-order, you can receive an exclusive bonus scene, and also be entered in a giveaway for a pair of blue crystal earrings. Just go to HERE to get the details and the form.